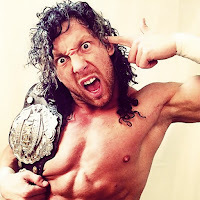 Kenny Omega has signed with All Elite Wrestling. The expected news was made official at today’s Double Or Nothing Ticket Announcement Party. Omega had previously topped New Japan Pro-Wrestling as champion and put on a series of critically acclaimed matches in the promotion. Now he’ll ply his trade in a promotion ran by some of his closest friends. He’s set to be one of All Elite Wrestling’s marquee stars. “I must apologize for making you wait so long,” said Omega. “I have found my phone and I am now a full-time member of the AEW roster. “We need to push this thing forward and make it bigger and better than before,” remarked the wrestler. “Rather than tell you what change the world means with words…we will be able to show you.” However, he was interrupted by a familiar foe in Chris Jericho. The former WWE champion would make things physical as he attacked Omega before being separated by security. All Elite Wrestling also announced the following matches for Double Or Nothing event, which takes place on Saturday, May 25 at the MGM Grand Garden Arena in Las Vegas, Nevada. The Young Bucks vs. Rey Fenix & Pentagon Jr.
You can see the whole event in the embedde video below. Kenny Omega's announcement is at 1:17'30"